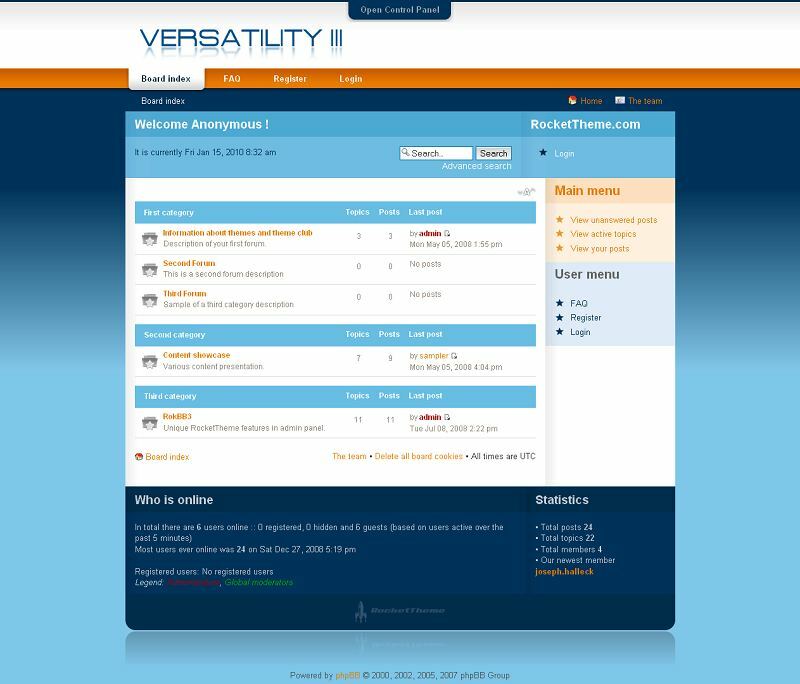 Vortex features a menu choices, content options, and plenty of color choices to give your site that ‘something extra’. 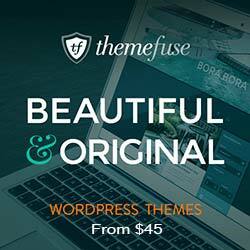 This colorful and solid design is perfect for all types of forums whether they are professional business sites or community and entertainment portals. 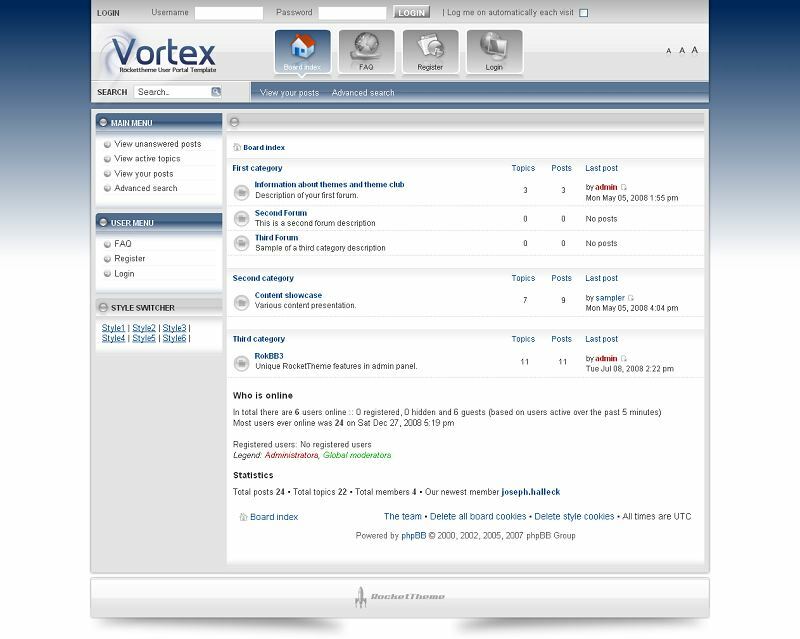 Vortex is also packed full of features including the icon based ButtonMenu system. 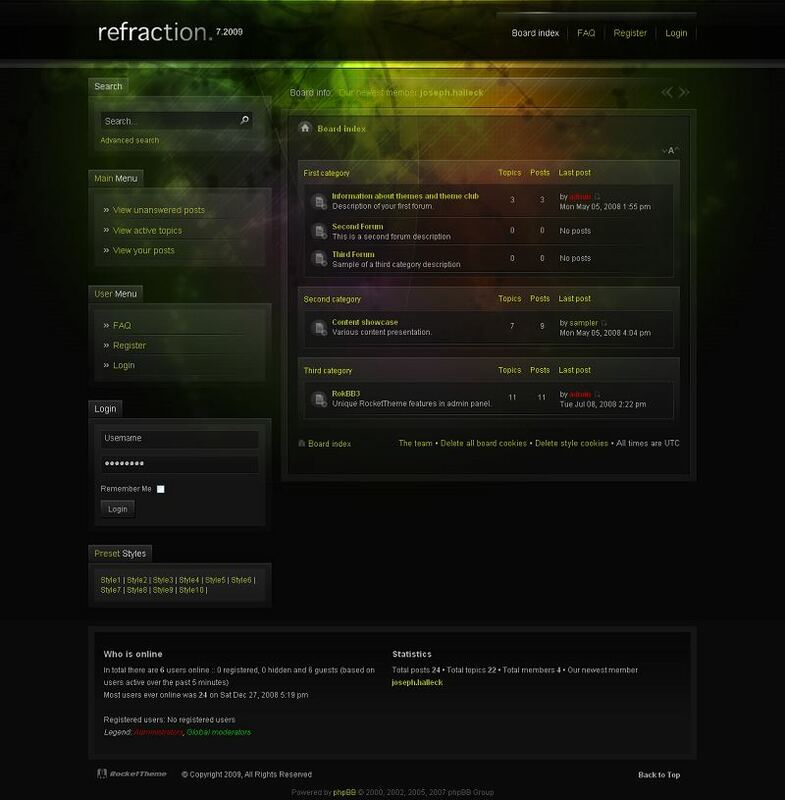 Refraction is a style to inspire and amaze. Utilising transparent overlays over professional and artistic background images produces staggering results, all matched with the perfect colour combination. Its easy to radically change the design with just an image and colour. Versatility III combines the versatile layout from the immensely popular Versatility style series with the modern feel, features, and exciting color variations; stir in some amazing new features and functionality and is perfect for any project. An amazing 20 color variations, and the RokMooMenu menu system are just a few of Versatility III’s many features designed to give you more possibilities than ever before for your site!. 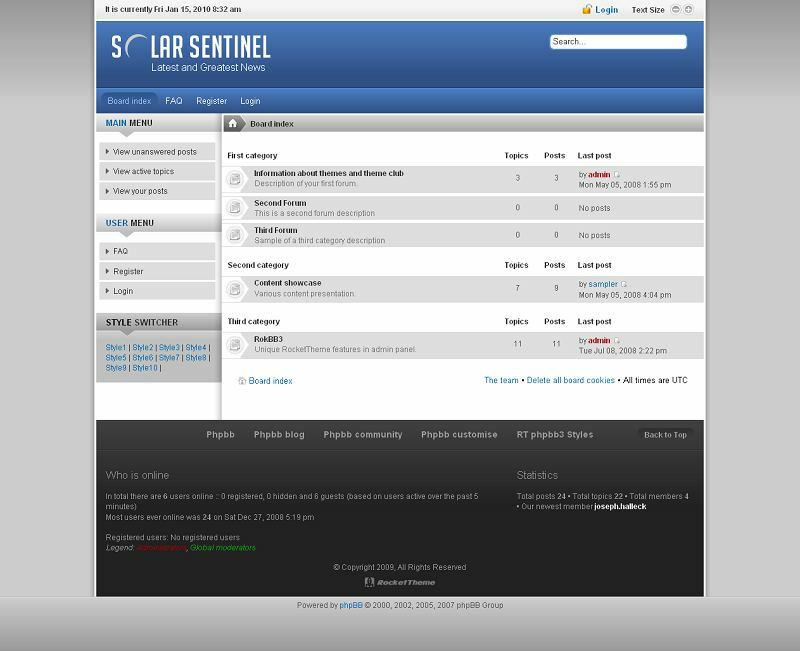 SolarSentinel is ready to impress, with its a sophisticated and SEO friendly layout and incredible flexibility make the style an ideal choice for any situation. It is equipped with a fantastic array of features such as support for RokBB3 and RokColorChooser. 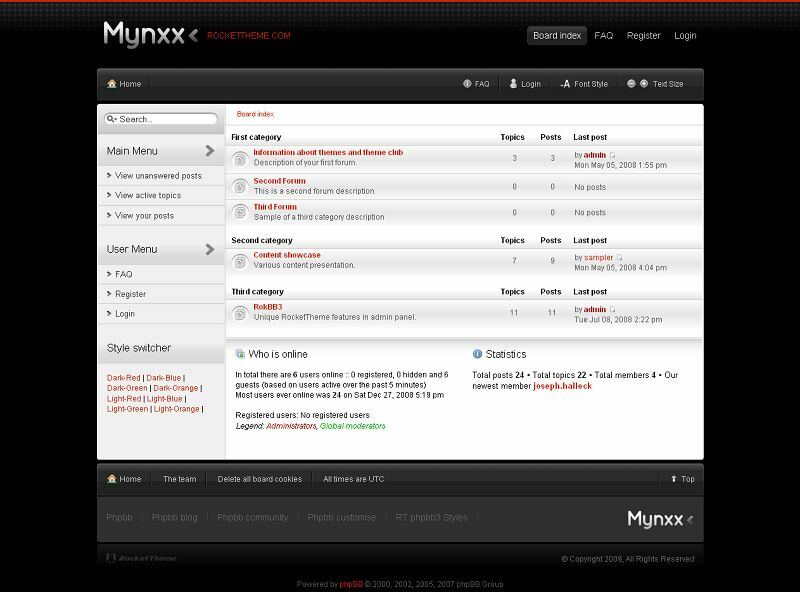 Mynxx is equipped with a fantastic array of features such as support for RokBB3 and RokColorChooser. 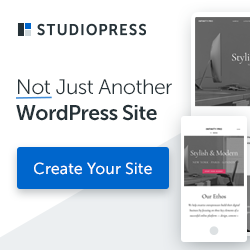 Mynxx introduces a source ordering layout, which, even the visual aspect of the template is left column, main column, right column, the actual code itself places the main column first so that the search engine crawler will come across your main content first and process that.